This is a guest post written by my friend Kristine who does not have a blog of her own. There are 3 boxes, stacked in the corner of an empty, abandoned house. The house sits in a beautiful suburban neighborhood, with manicured lawns, and shiny new vehicles. The lawns are edged, the flowers are watered, and you can hear the kids playing. These three boxes contain a story, with an ending that we already know. As I was sweeping the garage, I was overcome with thoughts of how seldom I sweep the garage in my own home. At any time, on any given day, you can find wrappers, dirt, leaves, popsicle sticks, and pop lids littering the floors of my garage. It wasn’t my garage that I was sweeping on this hot summer afternoon, and a sad joy washed over me. It was my friend’s garage, and she was dead. For sale sigh in the yard, dead flowers in the planters. You see, in days gone by, friends and family had the chance to prepare the body for burial, and care for their loved ones, as they grieved their loss. Here in America, with all of our privileges, comforts, conveniences, and wealth….we are removed from the task of caring for our loved ones bodies. Part of me is so very glad for that, but as I walk slowly along in her garage, I feel as though I am being healed in a strange way by caring for her home. I have that very same deep joy and sorrow, when I gaze into the eyes of her baby: who was 6 weeks old when her Momma went to heaven. I am often swept away for moment as I nestle my lips in her neck for kisses, make a funny face for a giggle, or hold her close. It is as if I can feel her momma, in her. The garage was empty, with the exception of some paint cans, a few lawn care necessities, and the stack of items in the corner. A stack that tells a story of brokenness. Broken marriage, broken home, broken lives. A wedding dress that was once a symbol of hopes and dreams, is shoved in a box…….dirty, with debris from the garage clinging on the edges. A box of family photos…..with a mom, dad, a little boy and girl……smiling. Letters………..of love……nestled neatly in a box of keepsakes. My friend cherished love, and family, and her collections reflected it. It was stacked and set aside when she remarried, and began building a new life, and I can’t help but wonder what her plans were for those items. Discard them……..Save them……the answer will never be known. They are the painful reminders of the joy and pain of an earthly relationship that didn’t have a fairy tale ending. As she began her new life, where did those items fit in? And now in her death, those who remain……who shoulder the pain of losing a mom, sister, daughter, wife…….are angry. Strained conversations with her loved ones indicate that the boxes are trash. But I can’t let go of the thought, that they are a story of brokenness, of which two wonderful children emerged and are left on this earth to make sense of their lives. The love letters of their parents…..because of the pain of all who are left…….are destined for destruction. My heart cries. In a culture in which divorce is as common as iced tea, I stare at the boxes and wonder why I still grieve the dirt covered life in those boxes. Or care. The stack was once a source of joy, is now a source of pain…..if all could be truthful. 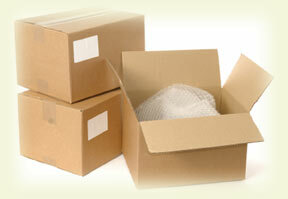 Our decisions in this life can leave a wide path of destruction, and in these boxes lie the fallout. Lives broken. Love lost. Hearts torn. A new life, marriage and baby……and then an untimely death of one who made a difference in this world. Where is God? Where was God? Was he in the pain, the suffering, the loss? I know He was. But it never takes away the hurt. For those who look to the Light, he makes all things new. But the wake of destruction is wide, and remains. Today, a ray of hope, is the healing that is beginning in my heart…..knowing that no matter what the visible destruction is that we see all around us, that God remains here. Loving, wooing us, calling us to Him. I will sweep. And weep. And I will never be okay with the brokenness that breaks God’s heart. Never. Thanks for sharing your beautiful words with us Kristine. If you have something to share but don't feel comfortable sharing it on your own blog (or don't have a blog of your own) I am usually willing to post guest posts or 'anonymous' posts here so feel free to contact me :).